IPELRA is back in Galena for our 40th Anniversary! Click here to read the full write-up of our 40th Anniversary celebration! The full conference brochure is available and registration is open! IPELRA held its first Annual Training Conference in 1978 … 40 years later, our Association is still going strong! We hope you can join us in Galena to celebrate our 40th Anniversary! IPELRA’s conference offers three days of professional development, continuing education, compelling speakers, supportive vendors and many networking opportunities to help human resources and labor relations professionals, directors, department heads, and others keep up with the challenges faced daily. Brace for Impact… and register for IPELRA’s Annual Conference today! The Annual Training Conference is packed with valuable information for public sector employers – Robert J. Smith, Jr. (Partner, Clark Baird Smith LLP and IPELRA General Counsel) will present a plenary session on An Update on Labor Trends in Illinois. We close the Conference with two great sessions: A Bad Day at the Office: Good Ways to Deliver Bad News and Negative Reviews – presented by Melissa DeLay (President, TruPerception); and attorney Paul Farahvar (Farahvar Law Group P.C.) facilitating an interactive presentation on the topic Everyone’s a Lawyer. We are conducting a Sunday afternoon Pre-Conference Workshop (at no extra cost to Conference registrants) – this year we welcome Keri-Lyn Krafthefer from Ancel Glink and a panel discussion on Not in Our Locker Room: Are Your Doors Open to Transgender Populations? Also on Sunday, as in the past, National PELRA is conducting one of its Academy classes – this year, it’s Academy III: The Negotiation Process. And … don’t miss these events: President’s Welcome Reception on Sunday evening; a special Awards Luncheon on Monday, featuring a tribute to IPELRA presented by one of its founders, Jim Baird (Partner, Clark Baird Smith LLP); our 40th Anniversary Celebration and Sponsor Recognition Reception on Monday evening; Tuesday night’s 40th Annual Conference Banquet; as well as the other networking opportunities throughout the three-day Conference. A final note -- As IPELRA continues to grow, we need your help. Want to pitch in? Here’s your opportunity to help spread the word and mentor new members … become an IPELRA Ambassador! Join us after the close of the Conference on Wednesday for our Ambassador Workshop and find out what you can do to help. IPELRA’s foundation is built on four pillars: Premier Training; Membership Resources; Interactive Networking; and Legislative Insight. Our Annual Conference embraces all four of these pillars. We hope that you will take advantage of all the wonderful and cost-effective training available at the Conference, as well as the opportunities to network, laugh, share, and truly learn from one another. It promises to be a great event. You won’t want to miss it! When US Airways Flight 1549, or "The Miracle on the Hudson" ditched into the Hudson River on January 15, 2009, Dave Sanderson knew he was exactly where he was supposed to be. The last passenger off the back of the plane on that fateful day, he was largely responsible for the well-being and safety of others, risking his own life in frigid water to help other passengers off the plane. Despite the hazard to himself, Sanderson thought only of helping others and emerged from the wreckage with a mission: to encourage others to do the right thing. In this stirring presentation, Sanderson shares the story of Flight 1549, revealing the inner strength it took to make it through the day, and how teamwork, leadership, and state management can help overcome any obstacle. 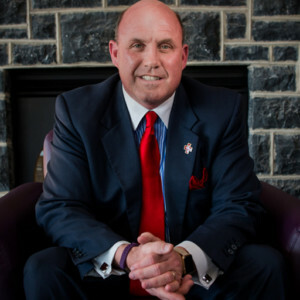 In his presentations, he shares the 12 resources he and others used not only during the "Miracle on the Hudson but during his 30 years in sales and sales management, his 10 years being on and leading Tony Robbins security team and the precepts that enabled him to become a top producer in some of the largest sales organizations in the world and ultimately enabled him to survive the plane crash. In his recent book, "Moments Matter," Sanderson discusses lessons learned from the Miracle on the Hudson and how one defining moment in your life can create your lifetime of purpose. A firsthand account of his experience aboard US Airways Flight 1549 appears in the book "Brace for Impact: Miracle on the Hudson Survivors Share Their Stories of Near Death and Hope for New Life" by Dorothy Firman and Kevin Quirk. He has also participated in many documentaries for TruTV, BBC, NHK in Tokyo and one produced and directed by Rick Lopez, which will premiere in 2018 in addition to an upcoming episode for Caught on Camera, a British documentary series. His new radio show, "Moments Matter with Dave Sanderson" is on Contact Talk Radio and C-Suite Radio. Dave focuses on how the top people in their industry move from being excellent to outstanding. His Flash Daily Briefing on Alexa, an Amazon voice service, is "Dave Sanderson: Declassified" and focuses daily on one skill the top 1% in their industries used to get to where they are and "declassifies" the strategies they used. We will be offering National PELRA Academy III Training - The Negotiation Process on October 21st. You will need to register through National PELRA for this training. To find out more about Academy III and the four-step Labor Relations Academy Certification Program (CLRP®) please visit npelra.org. To register for this October 21st Academy III Training, please click here. Continuing Education Units (CEU): It is NOT necessary to sign-in at the sessions for CEU credits. Please contact IPELRA at ipelra1978@gmail.com for a certificate of completion. SHRM Credits: IPELRA is recognized by SHRM to offer Professional Development Credits (PDCs) for the SHRM-CPSM or SHRM-SCPSM. This program is valid for up to 15.25 PDCs for the SHRM-CPSM or SHRM-SCPSM. For more information about certification or recertification, please visit shrmcertification.org. Online registration closed on October 10, 2018. *OAM = Organizational Associates of Members are other employees of the same employer as a current IPELRA member. ** Includes entry to all meals and events provided during the Conference to guests of registrants. Early Registration Discount… Please note that in order to receive the early registration rate, registration must be received by September 11, 2018. Quantity Discounts… are available. Register more than five from the same employer and the 6th and further registrants receive a $50.00 discount. Online registrants: Please contact Debi Stensland at ipelra1978@gmail.com for the required coupon code. Registration confirmation and any other communications to program registrants will be sent via email. Please insure your internal network security will allow email communications from ipelra1978@gmail.com to avoid your confirmation being lost in a spam filter. Cancellation/Refund Policy: All cancellation requests must be submitted in writing and received by October 12, 2018 to qualify for a refund. An administrative fee based on current per person costs may be deducted. Cancellations received after October 12, 2018 are non-refundable. No shows are non-refundable. IPELRA has once again retained a block of rooms at Eagle Ridge Inn and Resort. Eagle Ridge offers a variety of lodging options. Please make reservations directly with Eagle Ridge (please click here for the Individual Reservation Request). In order to receive your preferred room type and the best rates, make your reservations early! Housing deadline is October 2, 2018 … Reservations received after October 2, 2018 will be made on a space available basis. Attendee materials and session handouts are available for review, download, and/or printing. Just click on the links in the lists below and your document will appear in a separate window. NOTE: Guidebook and session handouts require a password which will be distributed to all Conference registrants via email on October 15, 2018. Conference materials are also available on Guidebook via smart phones, tablets or computers (password/passphrase required). To get the Guidebook app on your phone - visit guidebook.com/getit from your phone's browser. Follow the instructions to install the app on your phone. Once the app is installed, enter the passphrase that was emailed to you to get the 2018 IPELRA Annual Training Conference Guide. To access the 2018 Conference Guide on your computer or tablet - go to guidebook.com/guides and enter the passphrase that was emailed to you. If you cannot find a presentation or handout, please check back. We are updating materials as they become available. Materials will become available after October 15th. If you cannot find a presentation or handout, please check back. We are updating materials as they become available. 2:00 p.m. - 4:00 p.m. Pre-Conference Workshop: Not in Our Locker Room: Are Your Doors Open to Transgender Populations? presentation John Kelly, Ottosen Britz Kelly Cooper Gilbert and DiNolfo, Ltd.
presentation Bob Lemke, Arthur J. Gallagher and Co.
We Have a Contract … Now What Do We Do With It? Reasonable Accommodations: What Are They? When is Enough, Enough? handout Paul Farahvar, Farahvar Law Group, P.C.